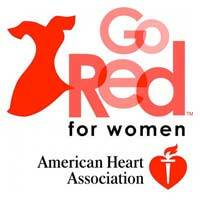 Wear red with jeans and make a $5 donation on Feb. 3. Friday, Feb. 3, is your chance to join your Webster colleagues and people from all over the country in fighting heart disease in women. For donations of $10 or more, you will be entered in a drawing to receive a wellness prize. Of course, donations in any amount are welcome. Donations can be made online until Friday, Feb. 3. If you prefer to drop your donation off at a physical location, the Human Resources Office on the ground floor of Loretto Hall is the designated site. Funds raised by Go Red support educational programs to increase women’s awareness about their risk for heart disease and critical research to discover scientific knowledge about cardiovascular health. Funds will also count towards Webster's fundraising goal. On behalf of Webster Wellness, thanks for your support. If you have any questions, please contact wellness@webster.edu.